The magnificent new biography that revolutionizes our understanding of Stalin and his world In January 1928 Stalin, the ruler of the largest country in the world, boarded a train bound for Siberia where he would embark upon the greatest gamble of his political life. He was about to begin the largest programme of social reengineering ever attempted: the root-and-branch uprooting and collectivization of agriculture and industry across the entire Soviet Union. Millions would die, and many more would suffer. How did Stalin get to this point? Where did such great, monstrous power come from? 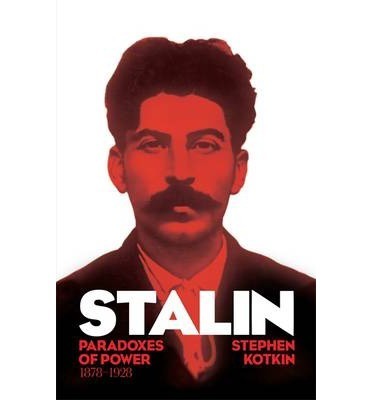 The first of three volumes, the product of a decade of scrupulous and intrepid research, this landmark book offers the most convincing portrait and explanation yet of Stalin's power, and of Russian power in the world. The book is as much about the Russia that Stalin inherits and reshapes as about the man himself. It gives a brilliantly nuanced picture of the sequence of catastrophes that disposed of the social structures, armies, rivals and close colleagues that should have stood in Stalin's way, as he emerged from obscurity to shoulder the terrifying responsibility of upholding Russian power in the world.